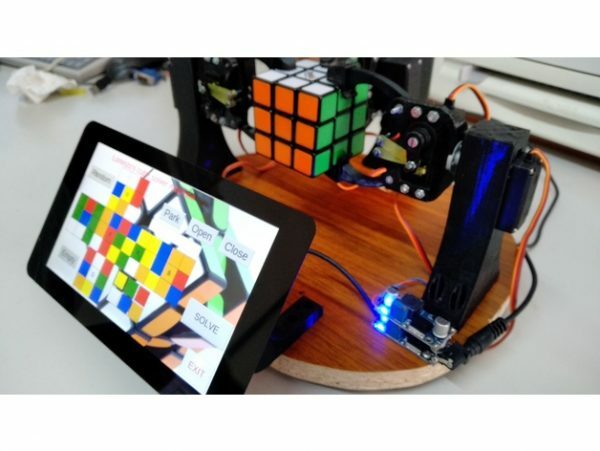 Rubik’s Cube Solver #piday #raspberrypi @Raspberry_Pi « Adafruit Industries – Makers, hackers, artists, designers and engineers! This project was born thanks to my two passions, the rubik’s cube and software development. My father and me worked several months and we had various problems because this machine is very complex its parts, mechanicle, electronic end software. This machine was not born to solve the cube fast but it solves the puzzle like human hands.